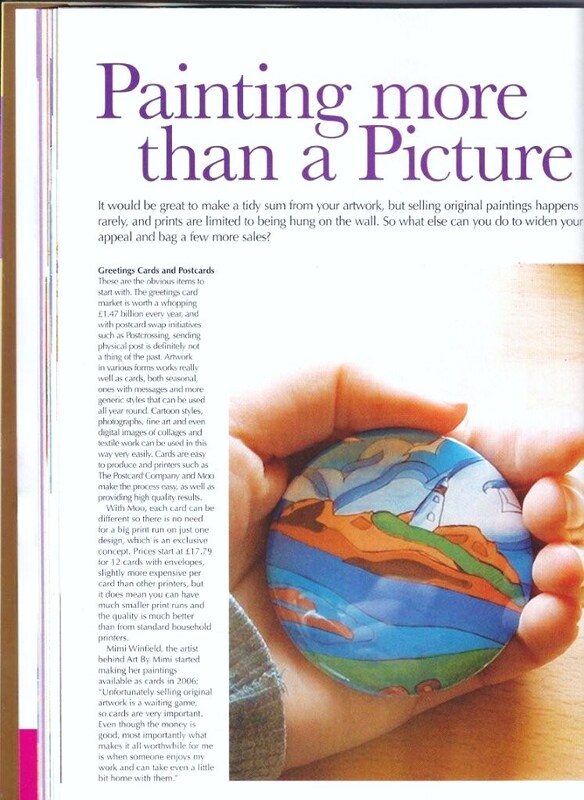 Thanks to a twitter chat with editor Kerry Wilkonson, of Penny Dog Jewellery, my RedBubble site has been included in Popular Crafts' Painting, Printing and Stamping edition. 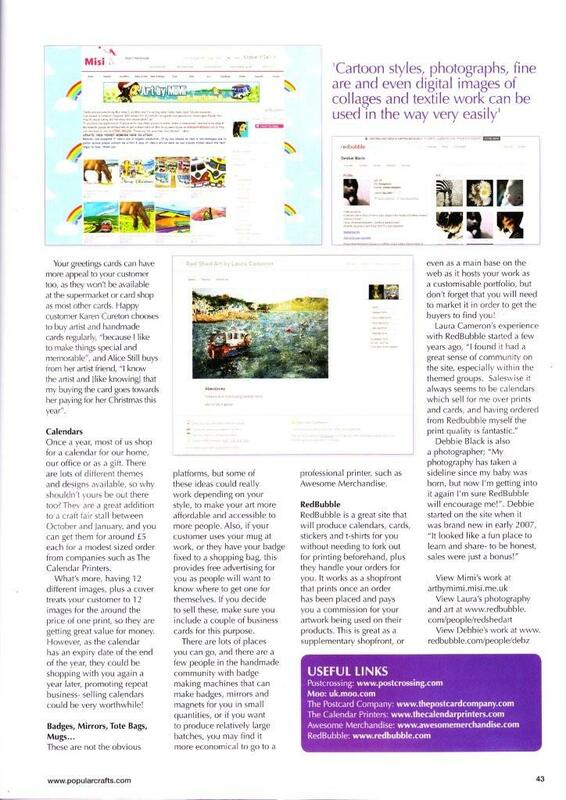 The article looks at various ways to sell prints and products featuring your art work. It's an interesting area and something I might pursue more in the future. Red Bubble is centrally focused on prints and greetings cards of your work, however, if you are interested in printing a greater range of items you should check out The Useful Art Company who "are happy to talk to artists about publishing your work" and offer a huge range of printed products from cards to mugs and canvas bags. Will look forward to reading the article! I recently discovered your blog and have awarded it a Stylish Blogger Award! Please visit my blog at www.1stuniquegifts.co.uk/blog for more info! New follower here! Wow, Laura your stuff is incredibly good.